Hands on Huawei might be the third biggest smartphone seller on the planet but it has very little traction outside Asia. The Chinese firm is hoping the Honor 8 will change that. The handset, which was launched in the US last week and will be formally launched in Europe at an event in Paris on Wednesday, is being aimed firmly at the price-conscious millennial buyer who wants an unlocked phone that won't break the bank. The price? A very reasonable $399 for the base spec version, plus tax. 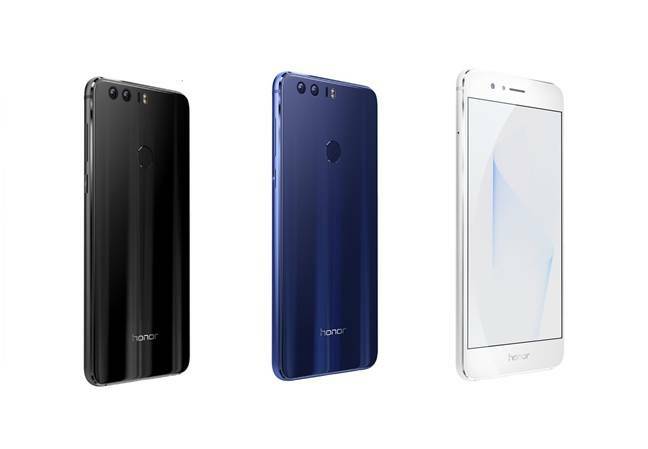 "Honor 8 perfectly represents the evolution of our overall product view," said George Zhao, president of Honor. "It goes against established industry norms and market conventions with a higher aesthetic standard. At the same time, it balances looks with the smarts, speed, and connectivity that today's millennial consumers demand. Honor 8 reflects our understanding of and commitment to their needs and goals." Huawei isn't alone in wanting to catch the attention of the young and the wannabe hip, and the competition is well-entrenched. So here at The Reg we've been putting the phone through its paces to see if it can do the job. 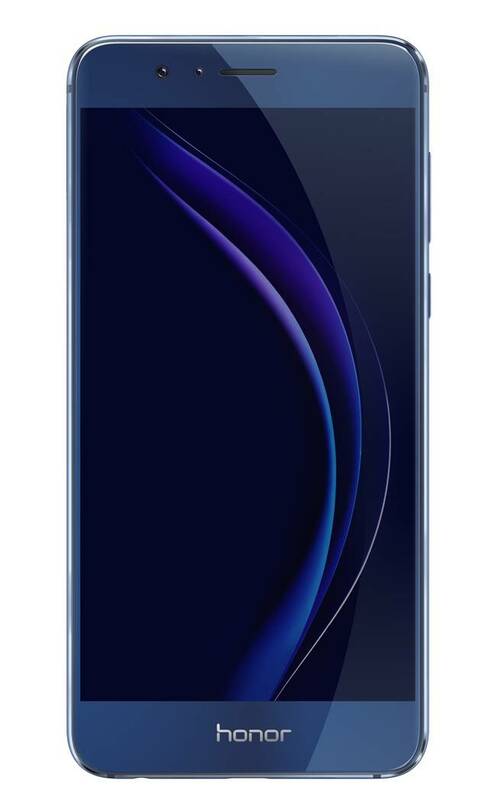 At first glance the Honor 8 looks very impressive. The fascia is all glass, and Huawei says the glass contains 15 layers that refract light to make the case change color. The handsets come in three colors: black, white, and blue, and it's the latter that really benefits from the glass treatment. The glass does have a couple of small drawbacks. Firstly it picks up fingerprints and smudge marks very easily, and one of the demonstrators said that the white version was particularly prone to this. Secondly it makes the phone somewhat slippery and putting it on a sloped surface isn't advised, since it soon slides off. That said, the case is amazingly strong. We dropped the phone from seven feet onto a carpeted floor repeatedly and it refused to crack. It also survived multiple four-foot drops onto a wooden floor without damage. After that I couldn't bear to risk it on concrete. At 145.5mm by 71mm by 7.45mm, the Honor 8 is a slim and light little beast – easy to slip into the pocket and it won't be too bulky with a case either. The edges of the device are milled slightly, which gives an excellent grip and at 153g is feels very light. One area where the phone lacks somewhat is its 5.2-inch screen. At 1920 by 1080 resolution, with 423 pixels per inch, the screen is somewhat lower quality than some high end smartphones, but it handles things well enough – although for a phone apparently dedicated to photography, a higher spec version might have been preferable. Speaking of photography, the Honor 8 comes equipped with two 12MP cameras. It has one standard RGB sensor and a monochrome one three times the size. These images are then combined and the results are very impressive indeed. The pictures we got from the Honor 8 were excellent, as good as any other camera phone, with the exception of the top range Lumia handsets. There's also a forward-facing 8MP camera for the inevitable selfies, as well as videoconferencing. One cute feature is a Smile mode which detects when the subject is smiling and automatically takes a picture – one millennial I showed this to thought it was the coolest thing she had ever seen. Huawei has also packed the phone with other photo modes, including a very smooth panorama mode, a Pro mode that allows control over functions like ISO and exposure values, and (understandably given the target audience) a mode for shooting food, which focusses on the highest point in a plate of grub. The camera lenses are actually fitted under the glass fascia, so you'll have to keep them clean for the best results. 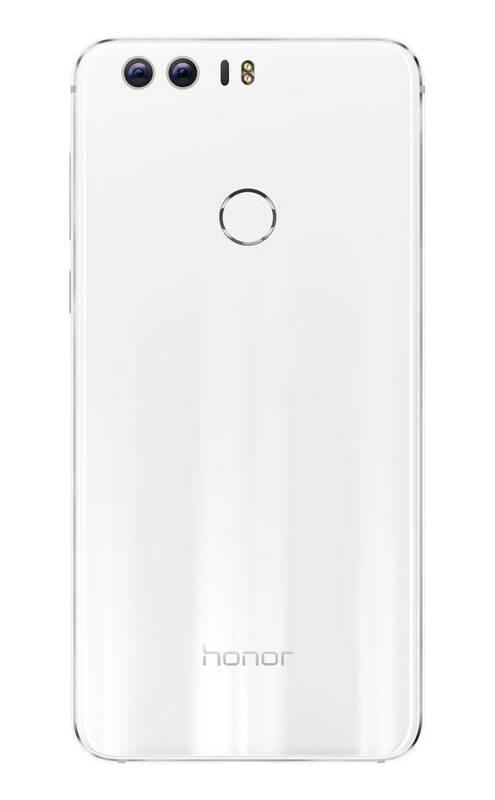 The back of the device also contains the fingerprint reader and it's this bit of hardware that Huawei has been doing some developing. The fingerprint sensor actually comes with four functions. It scans the fingerprint successfully enough, but it's also a customizable button. Pressing once activates one phone function or app, pressing an holding opens another, and the hardware can be brushed with the finger to allow scrolling up and down on the screen.